Using a peeler, peel the dark colored skin of dry coconut and grate it. Measure 1Tbsp of grated coconut and keep it in a plate. Grate nutmeg using a small holed grater and measure 1/2tsp and take it into a plate. Heat an iron pan and add cinnamon, cloves, cardamoms, tailed pepper and mace and fry stirring on low flame. After some time experience a nice aroma coming out of the roasted ingredients----here it took 20 seconds to roast the spices. Take the roasted ingredients into a plate and cool slightly. Take a spice grinder and add the roasted ingredients and grind coarsely. Then add grated nutmeg and sugar and grind to a fine powder. Take the ground spice powder into a plate and cover with another plate to retain the aroma till use. Crush edible camphor, menthol and sugar to fine powder using mortar and pestle. As this powder is aromatic, cover it with a lid till use to retain the aroma. Heat an iron pan and add 1/2Tbsp ghee and allow it to heat. Add fennel seeds into the ghee and allow them to splutter. Then add chironji and melon seeds and fry stirring. When melon seeds fluff up observe that chironji also gets fried well. Switch off the flame. Using a slotted ladle remove the fried ingredients from ghee and take them into a plate. To the ghee in the pan add 1/2 Tbsp more ghee and add areca nut pieces and fry stirring on low flame. Stir continuously while frying the areca nut pieces so that they get fried evenly. Experience a nice aroma when areca nut pieces are fried well---it took 4 minutes to fry areca nut pieces on low flame. Switch off the flame and add grated coconut, ground spice powder, camphor and menthol powder and mix well. Now add fried chironji and melon seeds mixture and mix well. While mixing experience the nice aroma of the mixture. Transfer the prepared vakkapodi into a clean and dry jar. Before covering the jar with lid we need to cool the vakkapodi---so cover the jar with a folded paper napkin so as to retain the aroma. Once cooled, cover the jar with a tight lid and store in a dry place. Using the prepared vakkapodi, let us also learn to make paan. Bring lime from paan shops and take that lime into a small jar. Add water into the lime jar till lime is submerged well. Cover the lime jar with lid and allow the lime to soften so that we can use it in making paan. Lime needs to be wet, to use in paan, so add water if it dries up to soften the lime. There are two varieties of betel leaves available in market. The light colored betel leaves are usually used for poojas at home and then are made into paans to eat at home. The dark colored betel leaves are slightly pungent and are used by paan shop people to make paans and are popularly known as Calcutta paan leaves. Dark colored betel leaves are also used to make drinks like paan shots or used in making paan ice cream. To make paan I have used vakkapodi, fennel seeds, gulkand and wet lime. To make one paan use one Calcutta paan leaf or two normal betel leaves. Here I have shown making paan using Calcutta paan leaf. Take the betel leaf and wash well and pat dry using a paper napkin. Cut the thick portion of the vein on the leaf. Make a slit in the centre to a third of a portion of the leaf so that it would be easy to roll the leaf to a cone shape. Hold one end of the leaf and roll it along the slit to form into a cone shape. Find a hollow space in the cone shaped betel leaf which can be filled with stuffing ingredients. But first we need to apply lime on the leaf. Take the leaf and place it in inverted position on a plate. Dip finger in wet lime and take a tiny portion of it----remember not to use more lime as it causes blisters in mouth. Dab a tiny portion of lime on the leaf in the plate and start rolling it as mentioned above. Now fill the hollow space in the cone shaped betel leaf with some vakkapodi, some fennel seeds and little gulkand. Now close the flap like portion of the leaf and the paan is ready to eat. But to secure the paan, take a clove and press in the centre of the paan to hold the layers of leaf. If using normal betel leaves take two leaves to make one paan. Use choicest stuffings inside the betel leaf to make variety paans---for example one can stuff the betel leaf with sweet fennel seeds, cheeries and tutti frutti etc. For parties, make paans one hour before and store in refrigerator till serving time. Betel leaves relieve bad breath and help in digestion. Areca nut pieces help in thinning blood. Fennel seeds are good for digestion. Gulkand reduces acidity and its sweet taste halts the craving to eat more. Cloves are beneficial in oral hygiene. So it is advisable to have this healthy paan after eating food. As we age blood thickens and areca nut helps in thinning of blood---so restrict giving this vakkapodi to children. As this vakkapodi would be tasty do not be tempted to take it more as it would spoil the teeth. In India we find different types of areca nuts available in different parts of the country. In southern part of the country areca nuts are dark in color and small in size and can easily be crushed using a mortar and pestle. The areca nuts available in western part of the country are large in size and are hard to crush with a pestle---they need to be cut using areca nut scissor. To cut the areca nut with scissor is an art and we need patience to learn that art. We get cut areca nut pieces and machine cut areca nut slices readily available in market. If one is not successful in cutting the areca nut using a scissor bring the readily available pieces from market and make this vakkapodi. Tailed pepper is a variety of black pepper which looks similar to black pepper but has a tail on it. The tailed peppers are strong in flavor and hence use it in small quantity only--- If it is not available in your place of living avoid it and yet the taste of the vakkapodi would be nice. Edible camphor brings a nice flavor to the vakkapodi---however use in small quantity only. Menthol is also popularly known as peppermint in some parts of the country and has a strong smell---so use only as much is required to bring the flavor. Use a tiny portion of sugar while grinding menthol and edible camphor as the grains of sugar help in grinding to a fine texture. Always grate whole nutmeg and take the powder rather than using store bought powder---nutmeg loses its flavor when powdered and kept for long time---so it is advisable to grate using a small holed grater and collect fresh powder to get good taste of the spice. Peel the dark portion of the dry coconut and then grate it and use so that the look of the coconut would be nice in the vakkapodi. Here I have used seeds which are actually watermelon seeds. One can also use yellow cucumber seeds, musk melon seeds, pumpkin seeds etc. 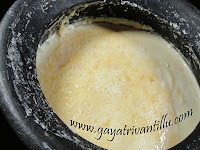 I have used an iron pan to fry the required ingredients in making vakkapodi. When we use iron pans, iron gets leeched into the ingredients used and thus our body gets iron naturally. Use a spice grinder to grind small quantities effectively to a smooth powder. For those who do not have a spice grinder grind using mortar and pestle and sift the powder and grind several times till we get a fine consistency powder. Always cover the flavorful powders till use to retain the aroma. Fry areca nut pieces in ghee on low flame stirring continuously or else they may burn at the bottom of the pan. Here it took 4 minutes for me to fry the thinly sliced areca nut pieces---whereas it took just 21/2Minutes to fry the dark colored areca nut pieces---so judge by experiencing the aroma and stop the frying process. Cool the powder well before closing the jar with a tight lid to avoid spoilage. Cover the jar of vakkapodi with a tight lid to retain the aroma. Usually the lime sold in paan shops would be wet but it dries up easily and would be difficult to pour water into that tiny tube of lime---so transfer the lime into a slightly wide mouthed bottle and pour water to soften the dried up lime. Always see that the lime is wet so add water and keep it wet. Remember not to add more lime on the betel leaf while making paan as it would cause blisters in mouth. This lime provides calcium to our body and is good. 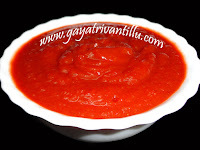 Vakkapodi is having flavorful spices. Instead of making this vakkapodi in bulk make in small quantities to enjoy the fresh flavor of spices added in it. Areca nut helps in thinning of blood. As we age our blood thickens. When areca nut is chewed the saliva takes in the juice that is generated and acts like a blood thinner, thus reduces blood pressure. As areca nut thins blood, it is not advisable to give it to children. In our childhood our elders used to restrict us from eating vakkapodi saying that if we eat it we would not farewell in our studies---the actual reason behind it is that it thins blood and is not good for children. However eating more than a limit is always harmful to health---so eat as a medicine and enjoy both taste and health.